What is a blue baby? What is a blue baby? 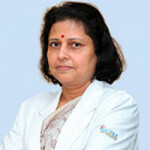 Dr. Smita Mishra, Pediatric Cardiology, Associate Director - Jaypee Hospital, will discuss about blue baby in this video. In babies born blu..